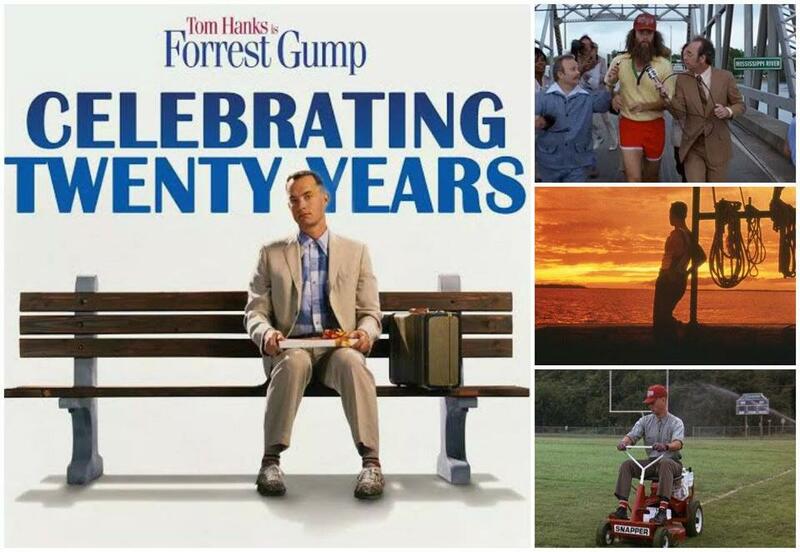 Everyone in Beaufort will be getting pumped for Beaufort’s Annual Shrimp Festival October 3rd & 4th 2014 and we’re twice as excited this year as we’ll be commemorating the 20th Anniversary of Forrest Gump! On Thursday October 2nd 2014, come to the drive-in to see a treasured classic, filmed in and around Beaufort, SC. We want to know what movie you think we should co-feature with Forrest Gump. Go the POLL on our Blog or Events page and cast your vote! Spread the news, see you there! Forrest Gump’s shrimp boat “Jenny” was in real life owned by Beaufort local shrimper, Jimmy Stanley. Marleena Smalls of Beaufort played Bubba’s mother. See the mystical live oak tree is located at the entrance of the Carolina Shores subdivision, at the end of Carolina Ave., near the Beaufort Marine Corps Air Station. The USC Performing Arts Center was featured in the movie as The Bayou Hospital. In the movie, Forrest endows it and it’s renamed Gump Medical Center. Chevy Chase first rejected the role of Forrest. Forrest ran from his front porch because he “felt like running”. He ran over a tiny bridge with the ‘Mississippi Welcomes You’ sign, which is actually the Chowan Creek (or Cowan Creek) swing bridge. There are only 9 swing bridges left in SC. Stay tuned for updates regarding the Forrest Gump 20th Anniversary screening on October 2nd 2014!